While I may have dropped the ball on updating this poor blog over the last little bit there has still been lots going on. Let’s start with the release of Rogue One, one superb little film that scratches the Star Wars itch with great enthusiasm. I watched it again yesterday and revelled in the starwarsiness of it all. I had just been getting back into the Fantasy Flight X-Wing game and seeing all those space battles unfold on the big screen reinforced how great that game is at bringing that same feeling to the tabletop. The most fun games of X-Wing so far for me have all involved multiple players in some form of teams. The game is just super fun as it evokes the star wars dogfight feel, the different ships, special characters and the whim of the Force and its effect on the dice. Even with my smallish collection there is lots of variety to behold – yet the lure to purchase more is so so strong. One of the reasons I wanted to mention all of this is something we have been talking about amongst our gaming groups – designing games to make losing fun, as fun as possible. What logic you can bring to the design of a game that can make losing really enjoyable. In a competitive game (where there is conflict between players) it can end up being not so fun for the losing player/s depending on the game. 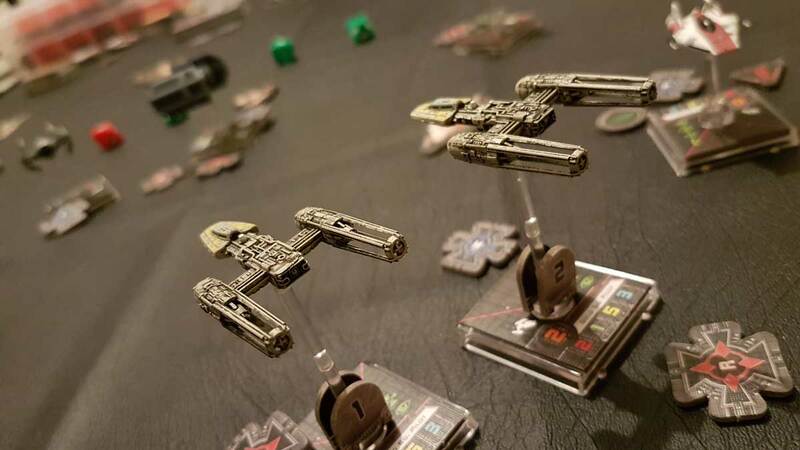 X-Wing is (I think) a fun game win or lose (the wonderful Shut Up and Sit Down review makes a similar point).